Dennis Raines is the Bethel Family Clinic's new substance abuse counselor. For Dennis Raines, the work that he does as Bethel Family Clinic's new substance abuse counselor is personal. Raines grew up in the Yukon-Kuskokwim Delta. His parents were both teachers and he spent his childhood in Quinhagak, Kotlik, Napakiak, and other villages. Raines has worked as a substance abuse counselor for seven years and recently helped found the Teen Challenge facility in Anchorage, a 28-bed Christian residential treatment program. Raines himself has been clean for over a decade. In an interview last week, Raines said that he sees the new support group he plans to facilitate at Bethel Family Clinic as something that he has been called to do. 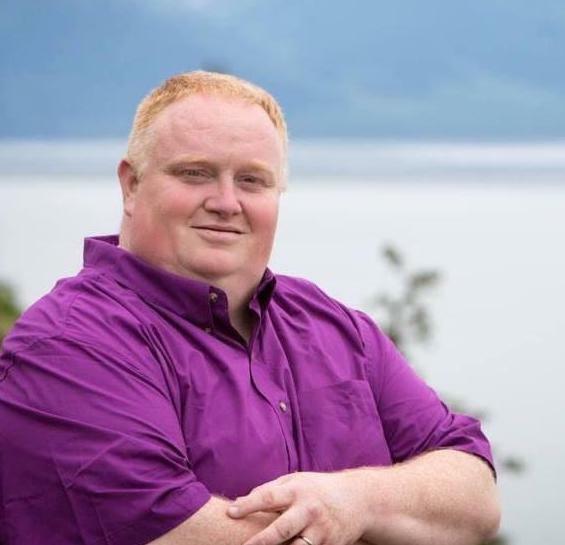 "I really felt called to come back to Alaska to help other people with addictions and people struggling with life controlling problems," Raines said. "Because I'd gone through that myself and I feel like I can offer people some insight, and maybe some answers that they're looking for." Raines reached a turning point in his own recovery in December of 2006. He said he had already been through 18 different treatment centers and struggled for years in detoxes, halfway houses, and AA. "I was driving down the road in Arkansas and I cried out to God," Raines said. "And I said, 'God, if you're really real like all these people confess so loosely with their mouths, you're going to have to change me. And if you don't change me, I'm going to continue sticking a needle in my arm or blow my brains out.' And the doors opened up to this Christian detox the next day. "So I completed the program. And I haven't been back." Raines went through an eight-day detox followed by a year-long treatment program. He’s now been clean and sober for 11 years. While he drew on his personal faith to overcome his addictions, Raines stressed that people struggling with substance abuse don’t need religion to get clean. Raines now facilitates the Bethel Family Clinic's Smart Recovery program, a secular, weekly meeting that offers an alternative to Alcoholics Anonymous and other support groups. "AA is based on a spiritual program," Raines said. "Smart Recovery is based on your thinking and emotions and the power of choice - it's basically cognitive behavioral therapy." What's Raines' message to community members who may be struggling with addictions? "Don't lose hope," he said. "As long as you have oxygen in your lungs, there's always hope." Raines' Smart Recovery meetings will be held at the Bethel Family Clinic every Tuesday from 5:30 p.m. until 6:30 p.m. The group is entirely anonymous, free, and coed. Participants must be over eighteen. If you live in a village and want to get in touch with Raines for counseling you can set up an assessment with him through video counseling. Call the Bethel Family Clinic at 907-543-3773 for more information.